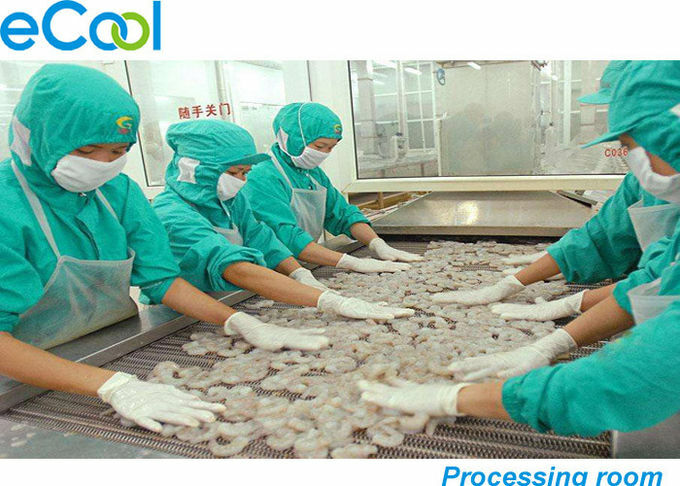 Meat processing factory such as: Seafood, Fish processing factory. 1. Room size : "m"( Length*width*height)? 2. What kind of goods will put into the room? (fresh or frozen)? 3. This projects will build in which country ? Whats the temp in summer over there?